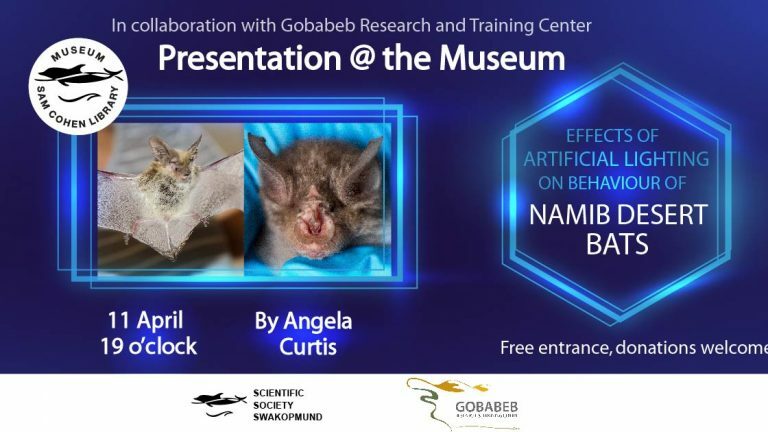 On Thursday the 11th of April at 7pm Angela Curtis from the Gobabeb Research and Training Center will present a lecture about the research into the effects of artificial light on Namib Desert bats. The speaker will be presenting in English. 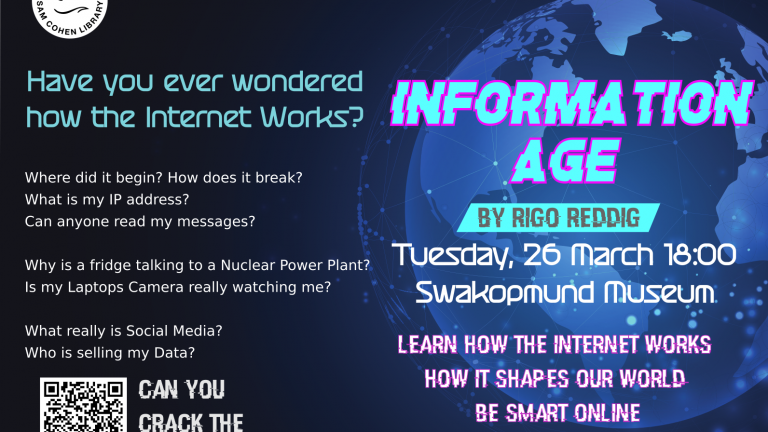 On Tuesday the 26th of March at 6pm, the lecture “The Information Age” by Rigo Reddig (Information Systems Engineer – IT Security) will be held in the Museum. Entrance as always will be Free, but donations are welcome. 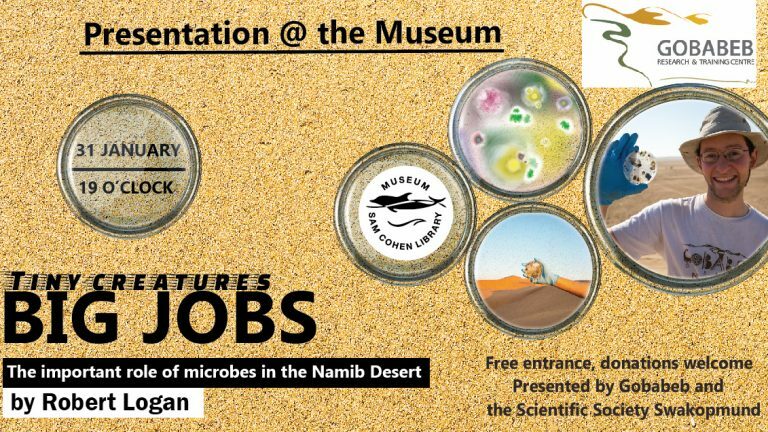 The Presentation will be in English and covers all manner of interesting things about the Internet and the Age of Information we live in. It is designed, to be accessible, for anyone with a curious mind, technical experience not required. 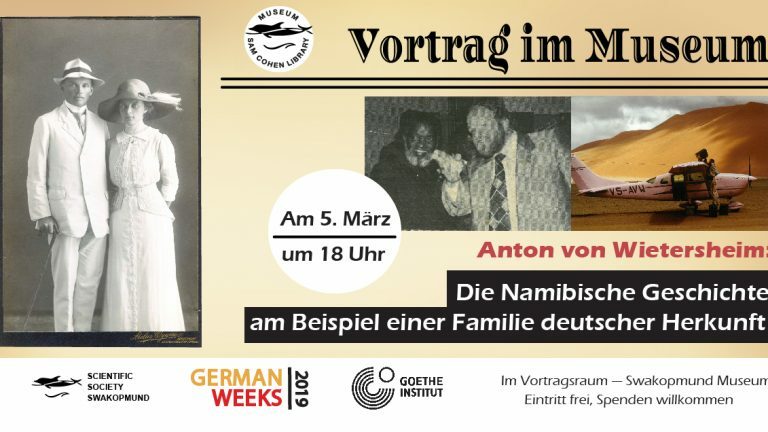 At 7pm on Thursday the 24th of January 2019 we offer the lecture “Klimwandel im Beispiel Sylt” in the lecture hall of the Swakopmund Museum. 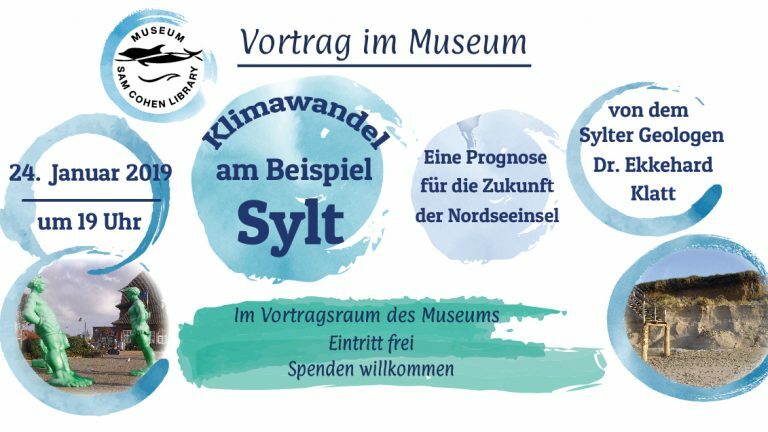 The Sylt geologist dr. Ekkehard Klatt’s presentation will be focused on the effects of climate change an how they impact the future of the island of Sylt.